J’ai commencé ce tableau au Symposium de Val-de-lacs, où on demanda aux artistes de peindre un de bâtiments patrimoniaux du village. Cette veille église construite en pierres des champs m’a toujours plu. At the Symposim de Val-des-lacs, the organizers asked the artists to paint one of the village old buildings. 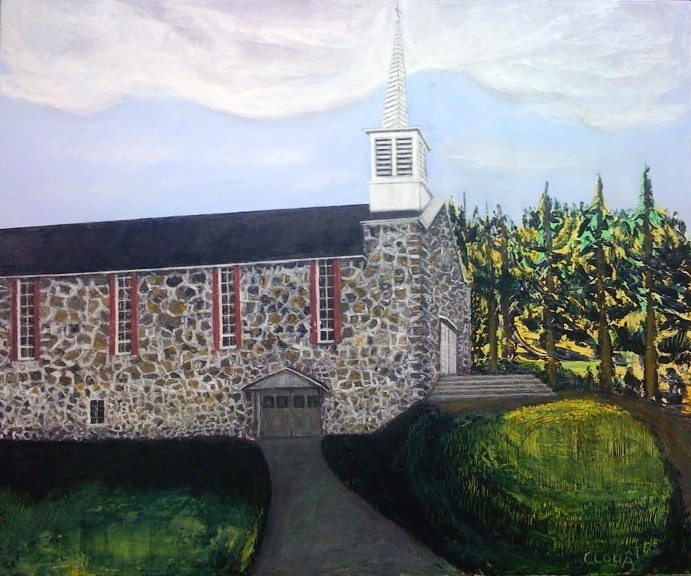 I’ve always thought that the old church, made in fieldstone, was the more interesting building of the village. This has a wonderful atmosphere and composition. Thank you ! I like very much your work.